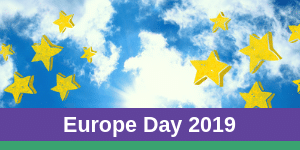 With the 2004 and 2007 “Together for Europe” events, continental in scale, many Christian Movements and Communities all over Europe set on a journey of Together. In 2009 in order to ‘sow’ locally national meetings were held in 12 European countries: Austria, Belgium, Bulgaria, France, Germany, Northern Ireland, Italy, Russia, Switzerland, Slovak Republic, Slovenia and Hungary. The presence of a representative of another European country at each national meeting helped maintain a broader European dimension. Each of these events were unique in character and coloured by the culture of the region as well as the Communities and Movements involved in its organisation. A shared objective was to face up with responsibility to challenges facing today’s Europe, beginning within each country’s own borders. Several of these local events were closely followed in the national media including TV, radio and press of the individual countries. Effective testimonials of Christian life were offered for a variety of life situations: with themes ranging from the welcoming and safeguarding of life to complex issues affecting the family today, the relationship with nature, solidarity with the poor and the vulnerable, commitment to peace and to safety in cities among others. Testimonials such as these conveyed an assurance that viable solutions to issues faced by the society today could be found in the Gospel.